From a young age I had a powerful respect for the human body. It wasn’t until I was at university that I started learning more about chiropractic. Its principles stood out to me because they were congruent with my personal beliefs about health and the body. The body holds the key to true health and only when it’s free from interference can it express this full potential. After becoming a patient, and experiencing huge positive changes in my health from chiropractic care my career path was obvious. I had to learn more about this science-based healing art. 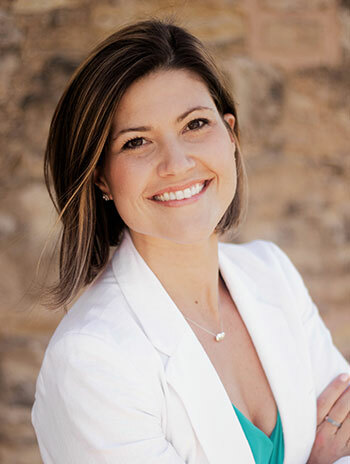 After graduating from McMaster University’s Science program, Dr. Laura attended Canadian Memorial Chiropractic College in Toronto to receive her doctor of chiropractic (D.C.). The science-based programs taught Dr. Laura the foundation she needed. While there, she also began traveling to continue her education at various seminars. She became involved with the International Chiropractic Pediatric Association and Holistic Pediatric Alliance, and is certified in Webster Technique. Dr. Laura focuses her continuing education in chiropractic pediatrics and functional chiropractic neurology. Her additional training and experience allow her to focus on improving children’s health through safe, and effective brain-based chiropractic care. Dr. Laura travels regularly around North America to mentor with other chiropractors and share her knowledge. Dr. Laura has dedicated her practice to helping families. Healthy families create healthy communities. She has a 4 1/2 year old son, Noah, who has had the benefit of chiropractic care since his birth. He has never had a drug, or intervention and she credits his strong immune system to chiropractic and a wellness lifestyle. Dr. Laura is driven to make a change in the health of our children. She encourages all parents to attend her workshops (Brain Development, Immune System, etc.) to better understand the many benefits to chiropractic and healthy living. Dr. Laura volunteers teaching spin classes at the YMCA and takes part in Cycle for Kids, supporting the Strong Kids Foundation. Kinstruct Health Chiropractic & Wellness participates in Wow Waterdown each year as a team and you’ll always see us at Rib Fest. Ready to get on the road to wellness? Contact us today to schedule an appointment with Dr. Laura.